Transportable. Space-saving. Fascinating. 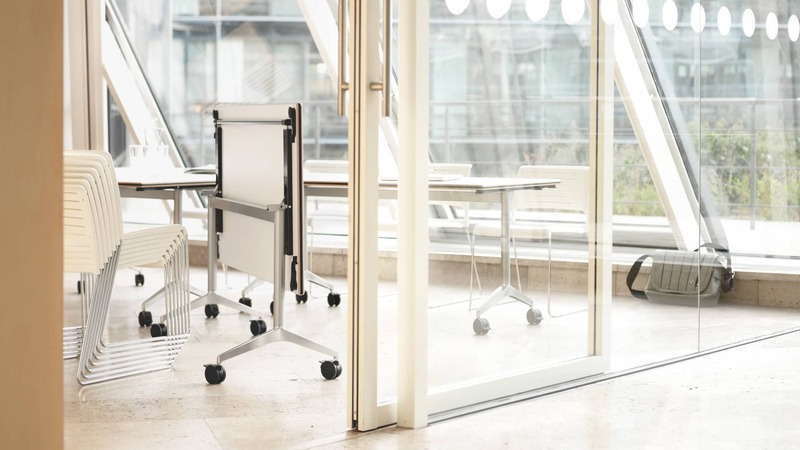 The Timetable Smart follows the Timetable principle and taps into another application: transportable and dynamic furnishing of multi-purpose areas, such as versatile training rooms, project offices, canteens or meeting places. We only use tabletops made of tough boards (60x150cm, 75x150cm (235/8"x59", 291/2"x59")) coated with melamine resin with plastic lipping in the same colour. The frame has an extremely hardwearing swivel mechanism (which does not cause the foot section to rotate) with integral storage buffer. The table top is locked both horizontally and vertically. The locking mechanism is released by simply pulling out the horizontal draw rod and pivoting the table along its horizontal axis. The wide frame with less of the table protruding at the sides, gives two chairs enough space between the foot sections, so that the table offers enough legroom for four people sitting opposite one another. 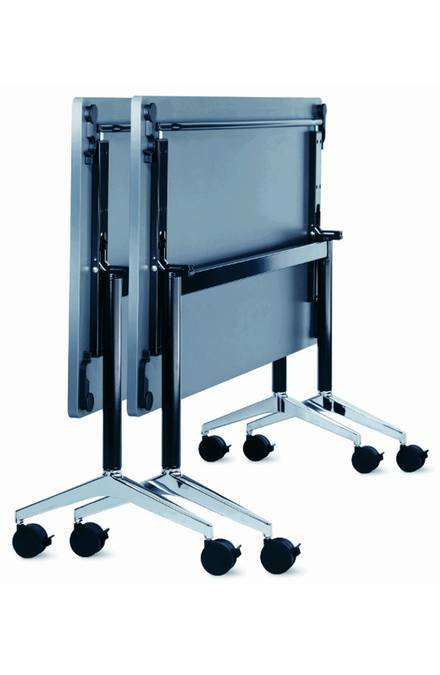 Another bonus is that the table’s stable design allows sophisticated power supply solutions – either as standby options for temporary work spaces, or with permanently integrated multi-media technology, as a flexible facility for conference and training areas.